General dental treatment is essential to good oral health. Our focus is on prevention rather than cure and we offer a range of preventative and general dental treatments. Tooth decay and gum disease are common, but they are largely preventable. We are committed to ensuring that our clients have all the necessary information and treatments to facilitate good oral health. We encourage all our clients to attend regular dental check-ups and we also offer oral hygiene treatments to keep teeth looking and feeling healthy, glossy and smooth. If you do require general dental treatment, you can be rest assured that you are in capable hands. 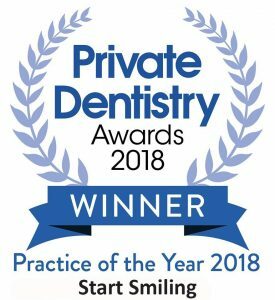 Our highly trained team have a wealth of experience in general dentistry and can offer some incredible new treatments, as well as more traditional procedures. Our general dental treatment range includes root canal therapy, fillings, preventative treatments, sedation services and restorative treatments. At Start-Smiling we aim to give you a beautiful, radiant smile and we offer the best modern technology to achieve this goal. We are delighted to offer clients the revolutionary Cerec technology, which enables new porcelain restorations to be made on-site. The amazing Cerec technology means that you can have your new restoration designed, manufactured and fitted all in the same day. Porcelain and composite fillings and restorations are much more aesthetically pleasing than traditional metal amalgam filling and will help to give you an attractive, natural smile. Given the opportunity to make an informed choice, the majority of people would want a natural looking tooth coloured filling. So why would you want silver fillings that show when you talk or laugh? Not only ugly, silver fillings weaken the tooth making them more likely to crack or break. They also contain mercury viewed by some as toxic. 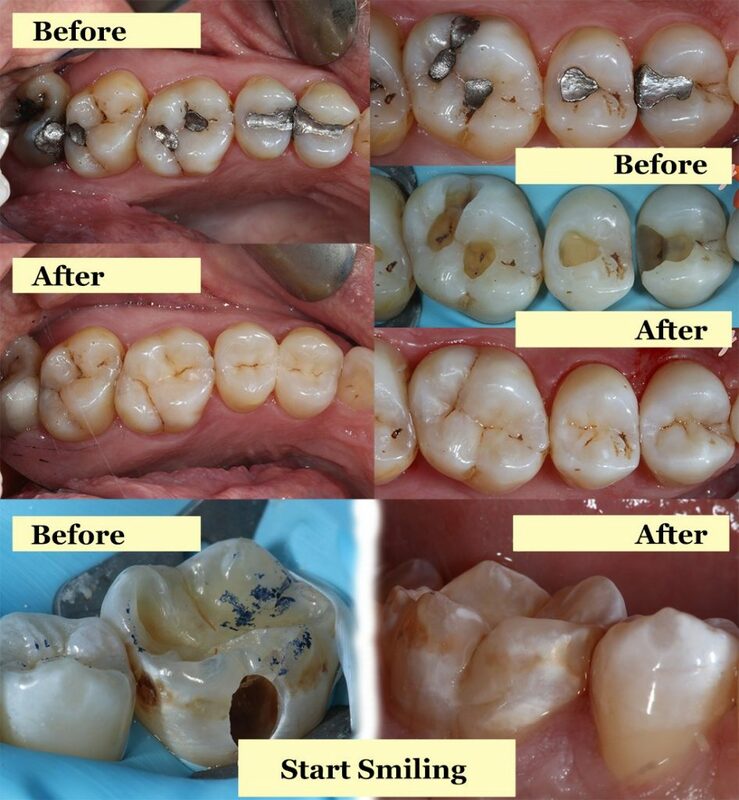 Tooth coloured fillings actually bond to the remaining natural tooth. This helps restore more of the original strength of the tooth as they require less removal of your own natural enamel, the tooth is less likely to fracture. At Start-Smiling we offer porcelain or composite tooth coloured fillings. If you currently have silver fillings then we will be happy to replace them with the more natural looking tooth coloured fillings. This can be done whether your current silver filling has come to the end of its life or you simply want to have a more natural look. You can then smile without worrying that any metal is showing when you open your mouth. We can also offer Cerec 3D one visit porcelain inlays. This wonderful new state of the art technology allows you to have natural looking strong beautiful teeth in just one visit. Cerec porcelain inlays are hard wearing and long lasting and come in a range of shades, to exactly match your own natural enamel. Periodontal disease, otherwise known as gum disease, will require treatment to restore gums to their optimum health. This is not only to ensure the health of your mouth but also to prevent major health problems from occurring as a result of periodontal disease. If you do suffer from periodontal disease, there is some evidence which suggests that you may be at higher risk of other major health problems such as heart disease, diabetes, strokes , miscarriage or arthritis. If you show any signs of periodontal disease it is so important that you undergo gum treatment with our hygienists. It is also of great importance that you attend regular screenings as symptoms of gum disease can often go unnoticed for some time. If your gum problem is severe enough then you may require a referral to a carefully chosen specialist.